We have all seen those television commercials for travel comparison sites. They are right, it would feel rotten to be on holiday and find that the folks next-door paid much less for the same package. This is at the heart of the continuing growth of comparison sites, which brought bargain-hunting into the digital world. After more than a decade, comparing prices online has become routine for both business and consumer purchases. Shopping around is nothing new for anyone running a vehicle fleet, for whom everything has to be acquired as cost-effectively as possible. The scale of purchases means that, most of the time, a comparison site is not an appropriate way to research costs. If you have dozens of cars and vans to insure, the sites that tell people to go compare or earn a fluffy meercat are not geared towards handling your type of business. Some individual big-ticket items, such as the vehicles themselves, demand plenty of detailed sums for each acquisition. Regular commodity purchases, such as tyres and servicing, are suitable for strongly negotiated fleetwide deals. Then, every year, you look around the market and haggle again. It might not be exciting, but it pays off. This all underlines the strangeness of the most common overspend. Some organisations refuel at pump prices. Others even pay transaction charges on top. Bizarre, but it does happen. 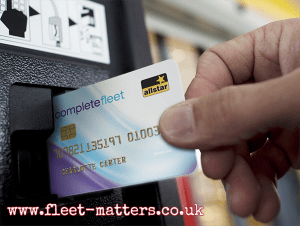 The completely bewildering behaviour comes from some fuel card users. They look around, find a good deal, then stick with it forever. Anything else would undergo regular review, but refuelling seems to be their blind spot. They know that it is a dynamic area, with suppliers coming and going and constant change in terms of products, services and pricing. They just behave as though the opposite were true.